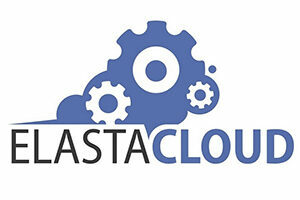 The Rail Forum Midlands (RFM) team are delighted to announce that Data Science and Cloud consultancy company, Elastacloud has opted to upgrade their membership to become a Patron RFM member. As you may be aware, the Rail Forum has a small selection of Patron members; these are key supporters of the Forum, benefiting from a level of tailored support to suit their specific needs. Andy Cross, Founder and Director of Elastacloud stated, “In Summer 2018 we formed the Elastacloud Rail Centre of Excellence and entered into a partnership with fellow Patron Member Porterbook with the aim to unite our expertise in the realms of Data Science and Cloud Infrastructure with their expert knowledge of the large volumes of data produced in the rolling stock sector every day. Together we identified 30 KPIs across the industry that could be radically improved with AI, and since that time we’ve been pooling our knowledge to build business cases that will prove revolutionary, not only for rolling stock but the entire rail sector”. “We’re thrilled to become Patron members of Rail Forum Midlands. Elastacloud have been members of RFM since 2017 and have always found our membership extremely rewarding. This year we are committed to continuing our work in the rail sector, focusing on the areas of AI and Machine Learning which we believe are key for transformation in rail. By becoming Patron members of RFM we’ll be strategically placed next to fellow thought leaders and industry innovators, and we’re very much looking forward to working closely with RFM at every opportunity”. Elaine Clark, Chief Executive Officer of RFM said, “When Elastacloud approached us to understand more about becoming a Patron, RFM was delighted to be able to work with them to facilitate this elite level membership. This significant step adds real value to both organisations, demonstrating Elastacloud’s commitment to the sector and the value they derive as a RFM member and we look forward to working even more closely with them over the next year”.